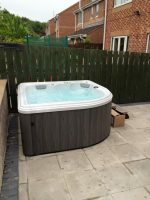 The beautiful Camellia is a unique corner hot tub offering seating for up to 4 people. The Camellia is a small spa but does not compromise on specification or power. 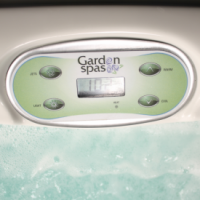 It includes a fully jetted lounger, diverter and two air inducers to allow you to customise your massage.